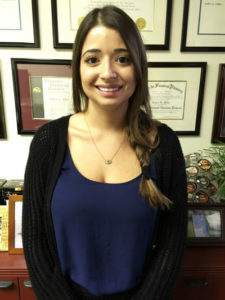 Lindsay Franks joined The Miller Financial Group in 2016 after graduating from the University of Florida. Before joining TMFG, Lindsay completed internships at the Federal Register at the National Archives and Records Administration, the Office of Government Information Services, and the Securities and Exchange Commission, all in Washington, D.C. Lindsay was born and grew up in Florida. As TMFG Director of Operations, Lindsay is responsible for managing the process of introducing and transitioning new clients to The Miller Financial Group. She serves as client liaison, working closely with each client to gather and process information for our unique LifePlan Design Process™, which serves as the foundation for crafting client financial plans specific to their present needs and lifelong goals. She performs a broad range of client services, including daily update of client records, ensuring timely quality care, service, and follow up. Lindsay also serves as TMFG liaison with other financial institutions we work with on behalf of our clients, and takes personal responsibility for resolving client questions on a timely basis. Lindsay is your “go to” person here at The Miller Financial Group.